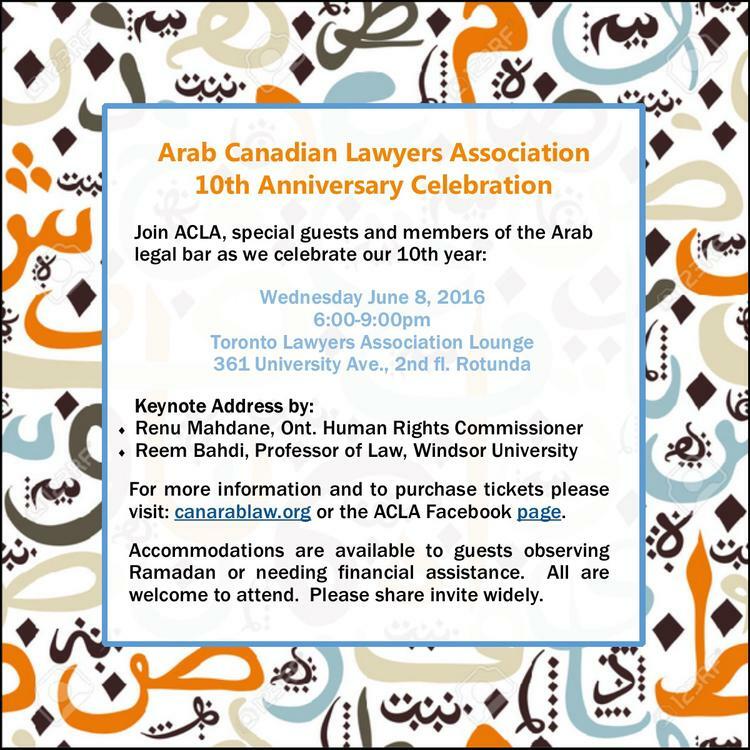 The evening is a great opportunity for members of the Arab legal community and other attendees from across the legal profession to come together to exchange ideas, contacts and celebrate in an informal and collegial atmosphere. Accommodations are available to guests observing Ramadan or needing financial assistance including: discounted event tickets, and post-event iftar with ACLA committee (based on interest). The formal program will conclude by 8pm to allow for travel time before iftar. 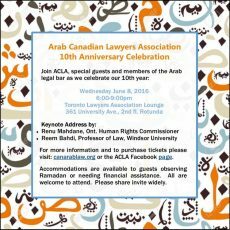 Please email info@canarablaw.org for more information on accommodations. The event is open to anyone interested in attending. Please share our invite to your networks and help make this evening a success.